LOS ANGELES, Calif. /California Newswire/ — MostFit is excited to announce its new 4-hour certification training program accredited through NASM and ACE. Trainers and Group Ex Instructors will receive .4 Continuing Education Credits for attending the training. The purpose of the MostFit Core Hammer Workout workshop is to teach fitness professionals the proper, tried technique, for helping athletes and fitness and wellness clients achieve optimal health in a safe, fun, and motivating manner. This certification was designed by MostFit founder Andrew Gavigan, exercise physiologist and elite endurance athlete, internationally recognized exercise physiologist and certified sports nutritionist, Tom Holland, and Doctor of Physical Therapy Santo Riva. Core Hammer training provides unique unilateral and asymmetrical strength challenges, rotational strength challenges, functional and stability training opportunities, and other training protocols provided by a distally loaded lever. This certification will also introduce and examine ways to implement these training techniques in a personal training, group training, or group exercise environment. The training covers the biomechanics and science behind the product and programming, and takes trainers and instructors though a full series of Core Hammer training modalities, including push-strength, pull-strength, core, HIIT and more. Participants walk away with close to 50 unique exercises that can be modified and arranged to create literally hundreds of exercise options and sequences that can be used with their clients. 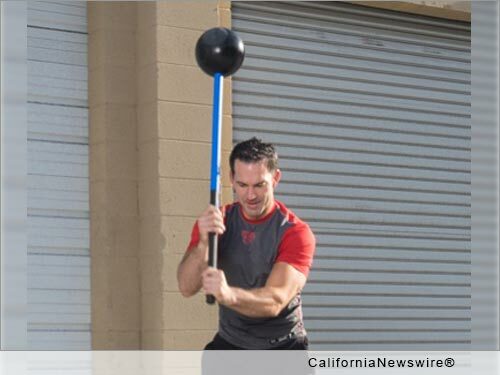 Tom Holland says about the training, "The Core Hammer Fundamental Training Certification program is unique, and well worth the time for any coach or trainer who utilizes rotational, functional or core training with their clients. It's such a fun piece of equipment to use, and it's mind-blowing how much you can do with it to create full workouts that cater to any individuals needs. It's certainly not just for sledgehammer throws!" Andrew, and the MostFit Elite Trainers, will be teaching the 4-Hour Certification Sessions across the country, and bringing it to key Fitness Industry Conferences and Summits in 2016, such as IHRSA, IDEA World, ACSM's Health and Fitness Summit and more. For more information, go to http://www.most-fit.com/ or contact Andrew Gavigan at 805-415-7493. MostFit is dedicated to promoting fitness throughout the community, as a means to health and happiness. Their goal is to make fitness enjoyable, accessible and realistic – which is paramount to creating a healthy body image and ultimately, success.